We’re Jordan + Amy! 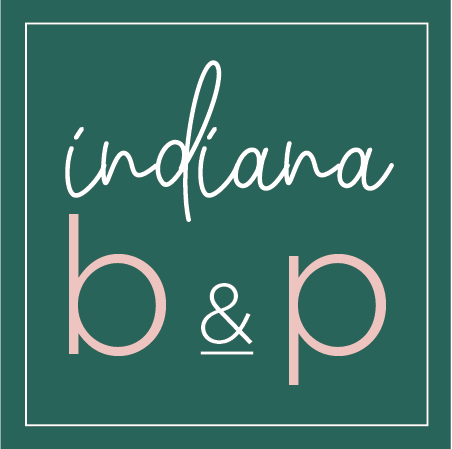 The dynamic duo and owners of Indiana Birth & Parenting! Most days you’ll find us spending time with our families. When we aren’t being #supermoms (read about our #supermoms mission here), we’re working on our pursuit of helping new families gain confidence, feel supported, and learn tangible ways to ease into parenthood. Our website is packed full of helpful resources and details about how we can serve you and your family through pregnancy, birth, parenting and beyond. For now, we want to take this opportunity to get to know us on a more personal level. Here we go! 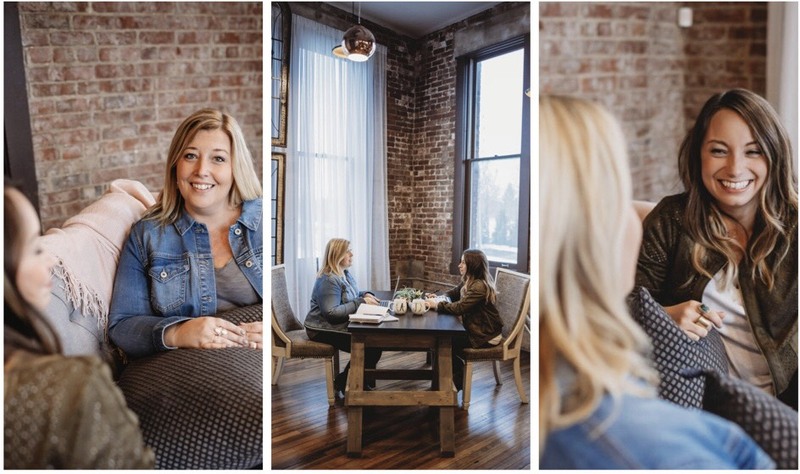 We met in January 2017 and quickly became close friends, bonding over our intentional work ethics, and our passion for leaving families better than we found them…and of course our love for coffee and tea! Being doulas isn’t a job for us, it’s what we’re meant to do. Over the past two years,we have worked seamlessly as a team. We’ve built processes that serve clients best. Customizing care for every single family has always been, and will continue to be, our top priority. Our well-structured partnership and collective knowledge as doulas means we guarantee you will experience professional care delivered with heart here at Indiana Birth & Parenting. When we sat down to write our personal bios, we discovered it was easier to sing praises about each other rather than ourselves. Isn’t that always the case?! Read on to learn more about us and enjoy what we have to say about each other. Have you ever met someone for the first time, and you instantly feel like you’re home? That is what it’s like when you’re introduced to Jordan for the first time. She is the perfect combination of strength and gentleness. Confident, approachable and relatable, Jordan leaves every family she serves better than she found them. Birth, parenting, and everything in between will awaken unimaginable highs and lows. Jordan is who you want as your go-to person as you experience the full spectrum of parenthood. There’s nothing better than having a friend who literally knows something about everything. Seriously…from pregnancy, birth, parenting, relationships, fitness, nutrition, home improvement, design and so. much. more, Jordan is a girl who knows her stuff! She brings knowledge and experience into every human interaction she has, and she delivers it all in the most welcoming and real way possible. Jordan seamlessly balances caring for new parents and babies while being a mom to littles herself. When you feel lost and alone in the trenches of sleepless nights and endless worry, she’s right there with you offering her supportive hand. Every parent feels like a #Supermom when they have Jordan cheering them on! She teaches me new things all the time…and I’m the older one between the two of us. Two little dapper, energetic and precious boys are blessed to call this woman, “Mommy.” Every single decision she makes is done with her preschooler and toddler in mind. Her sons are just starting to find their passions and interests in school, sports, Ghostbusters, Legos. tee-ball and all the fun boy things! Jordan’s husband is the love of her life and her partner in everything. He brings out her spontaneous side. The two of them can be found going on adventures together- all over the world, and in their own backyard. They carve out time as a couple because they both know it makes them better parents, and happier individuals. Their first baby, a golden retriever named Kuzie, adds excitement- and a healthy dose of dog hair- to their already busy lives. When Jordan isn’t doing all the parenting, wife-ing and doula-ing things, you will find her listening to the latest podcasts, sipping hot tea, coming up with new Shibori designs, filling her soul with self-improvement, or at a concert with her guy. Jordan’s not about the picture perfect finished product…she’s all about the journey. Whoever gets to come along on her journey should consider themselves lucky. I’m one of the lucky ones. When you meet Amy it is like instant gratification. You know when you see that best friend you only get to see once a year- and five minutes in you are laughing hysterically and picking up right where you left off? Yep, that’s Amy! You instantly feel safe and cared for, and I’m pretty sure it’s because being a “Mom” is ingrained in her DNA. If you can believe it, Amy has three teenagers. Two daughters in Jr High/ High school and a son (and part of her heart) is away at college in Illinois. Anyone who has met Amy knows that a huge part of her is her children. And when you meet her sweet young adults, it is a true testament of the amazing mom she is! When she is not helping her children become successful young adults (and even when she is) Amy is most certainly listening to Taylor Swift. You can also find her cheering on her son’s baseball team, out and about with her daughters, attending their choir concerts, gardening, watching a good movie, playing with her golden- Addie, or looking up all things girly or inspiring on Instagram. The beach is her happy place and it’s where she feeds her soul. Let’s not forget about her hubby though! Amy has been married to her high school sweetheart and best friend for 21 years. Which is basically like a million years, right?? And yes, I’ve seen it, she still lights up when she talks about him. It’s seriously the sweetest. Even though its been a little while since Amy has had a newborn of her own, she is dedicated to learning all of the “new” ways of parenting. Her unique understanding of the ways of the past and the always changing new “rules” of raising babies will help you perfectly blend and filter all of the lovely suggestions that come your way from those that truly mean well. But rest assured- she has been there. She knows where you are and where you’re going. So you can be confident that there is light at the end of the tunnel. To put it simply, if you are looking for a doula, Amy is your girl. Her kind, reassuring, and approachable presence is just a small part of what makes Amy one of the greats. If you find yourself rocking the #SuperMom life- she’s going to be one of the first people you call because you know she’s the best cheerleader. And if you find yourself in a stressful situation she knows exactly what to say to reassure and comfort you. Trust me, Amy is this person for me. Jordan and Amy have a combined 5 years of experience supporting families in Central Indiana. They’re both ProDoula trained Labor/Birth Doulas, Postpartum Doulas, and Placenta Encapsulation Specialists. Jordan is also a trained Infant Feeding Specialist and Amy is currently in training for Bereavement Support. In addition to their doula trainings, Jordan and Amy are CPR certified. Soon they’ll be adding a CPR Certification Instructor, Childbirth Education, Sleep Consulting, and National Child Passenger Certification to their list of credentials. and family fun around Indy!